Stockholm - February 7, 2017 - EAST, Miami, the first hotel venture in North America from Swire Hotels' EAST brand, is adding cutting-edge innovations to its new hotel location, situated on top of Brickell City Centre in Miami, with the implementation of ASSA ABLOY Hospitality's New VingCard Essence door locks and Visionline locking solution. ASSA ABLOY Hospitality officially announced the launch of its New VingCard Essence door lock in December of last year. Rolling out several new features, including Mobile Access compatibility, with secure Seos technology, and wireless online capabilities, guests at EAST, Miami, and other hotels using the New VingCard Essence lock can benefit from increased efficiency and more streamlined guest experiences. Coupled with Visionline, the EAST, Miami staff can remotely monitor and control who has access to which guestrooms and when, adding extra security functions to avoid breaches or quickly address any security related issues. "We pride ourselves on having a highly innovative brand. As such, it is important to us to work with companies that globally lead in innovation and performance" said Mihai Bote, CHTP Director of Technology at EAST, Miami. "ASSA ABLOY Hospitality not only brought this innovation to the table for us with the New VingCard Essence door lock, but also provided us with a solution that gives us access to real-time lock events on our property, monitored from one central location." 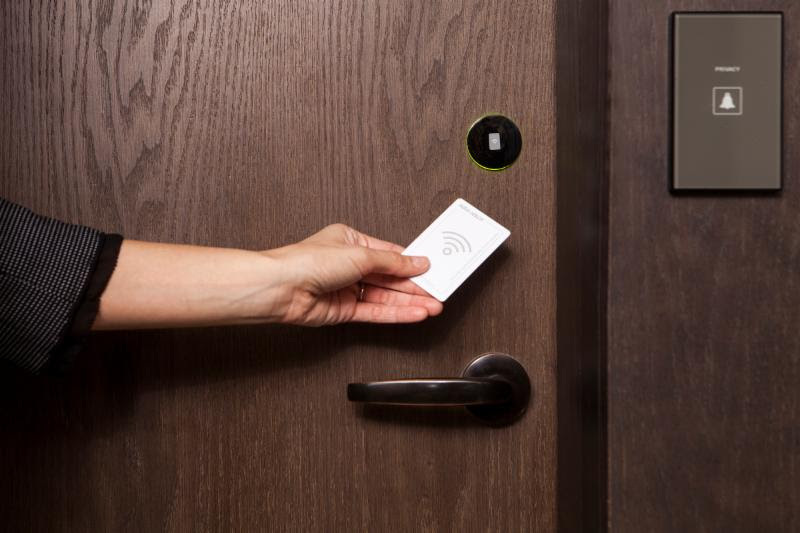 EAST, Miami already had a strong relationship with ASSA ABLOY Hospitality, having installed the first generation of the VingCard Essence lock at the hotel previously. The executive team decided to install the New VingCard Essence lock due to the continued relationship the ASSA ABLOY Hospitality team maintained with them following the previous install. "ASSA ABLOY Hospitality's strong customer support, well-known reputation, years of experience, proven track record and long standing service to the hospitality industry are highly valuable to us," adds Bote. "Whatever needs we had, were taken care of quickly and efficiently, and we are already seeing improvements and increases in guest satisfaction following the installation." The New VingCard Essence locks by ASSA ABLOY Hospitality are Mobile Access ready, and the hotel plans to launch this mobile phone-based access functionality to its guests through its proprietary app soon. Find out how ASSA ABLOY Hospitality's New VingCard Essence brought innovative hotel security monitoring to EAST, Miami by checking out the video here. For more information on ASSA ABLOY Hospitality and its comprehensive line of locking solutions, please visit www.assaabloyhospitality.com.